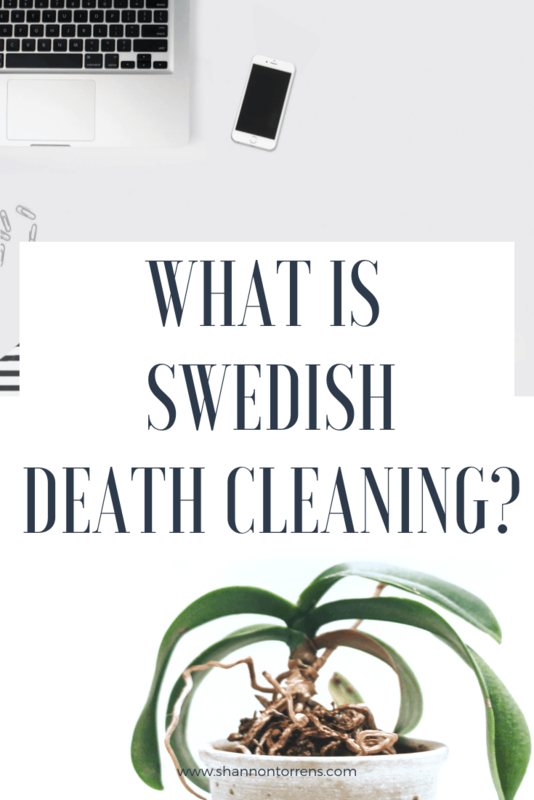 I wanted to share a book I just read about Swedish death cleaning. 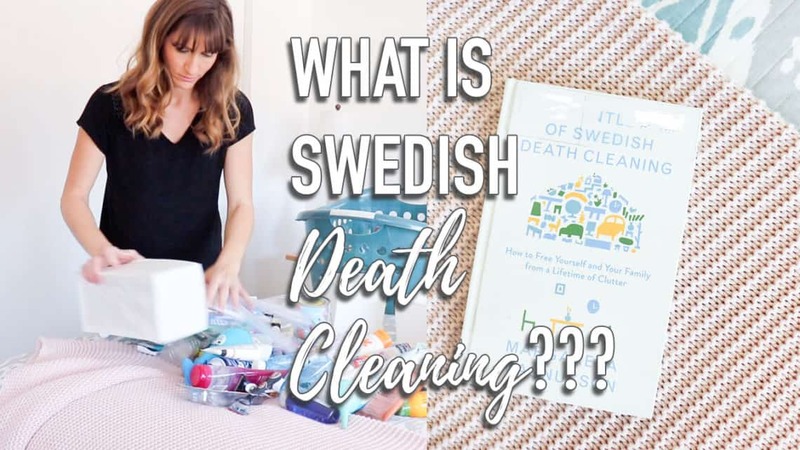 Decluttering with Swedish death cleaning is a good way to lift the burden off your family. 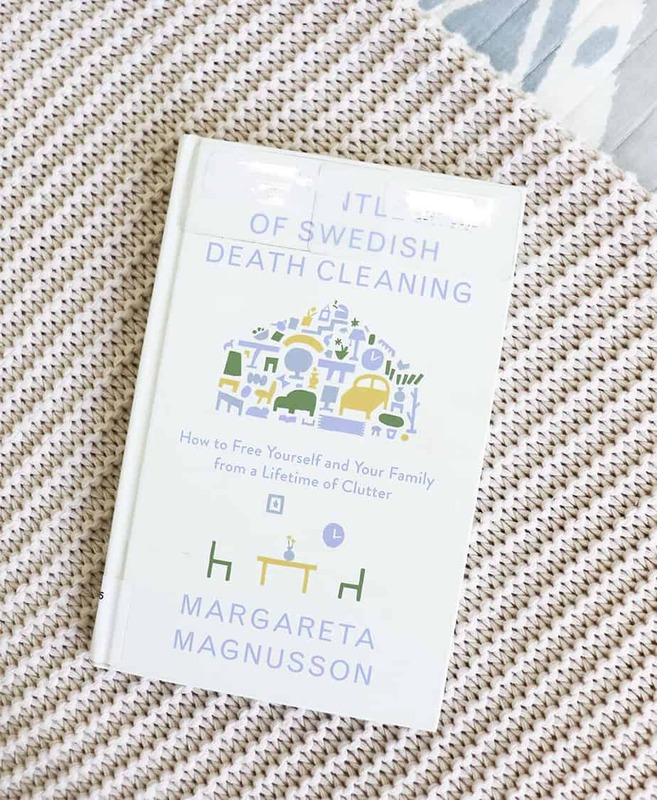 The Gentle Art of Swedish Death Cleaning by Margareta Magnusson is a great inspiration. She shares her thoughts about leaving the burden of clutter for your family to deal with after you pass away. The book is not sad, but makes a really good point. Why should we leave a huge mess behind for everyone to deal with? This question makes me wonder, if people are leaving a huge mess behind, that must mean that they are currently living in a huge cluttered mess. When reading this I never felt this book was pushing minimalism or minimal living. It was a straight forward talk to the reader about why you shouldn’t leave a huge amount of things for someone to deal with. She is gearing this book towards older people, 65 years or older. As a 35 year old I felt I could still relate and learn from her story. I am one of those people that like to learn from others so I am not inventing the wheel every time I do something. Margareta says she is between the age of 80 and 100 years old, so she has lived long enough to pass on some valuable knowledge. 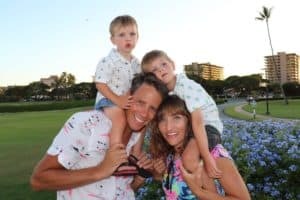 The author explains how to broach the subject of downsizing with your family. If you are the person doing the cleaning out she says you can either tell your family what you are doing or you can slowly give things away and clean out quietly. She explains that either way your family will get the picture. Why downsize when you get older? She simply states that you can’t take all of your stuff with you. She also points out that most things you want and need as a younger person you don’t normally need as an older person. For instance most sporting equipment. Parts of this book brought back some memories of how my grandparents downsized. My grandparents were Swedish too! When my grandma knew they were going to have to move from their tiny home into a one bedroom retirement home she did something very interesting. This was probably around 20 years ago, way before this book was written and way before decluttering was a “thing”. Hilma, my grandma, invited all of the family over. She put everything that meant something to them on tables and let us pick anything we wanted. She picked someone to start and then we all took turns picking what we wanted. With every item she had a note written out describing where the item came from and what it meant. This was their way of cleaning everything out. The nice thing about this way was they could tell us about the objects. I love the story behind an item! Margareta also has a few suggestions that I can apply to my life now! One thing she suggests is to clean out anything we don’t want someone to find out about. Anything secret or private you might want to discard. When I recently went through the boxes I had full of stuff from college and high school I did exactly that. I found a bunch of journals I had written that no longer applied to my life and that I didn’t need anyone reading. I simply pulled out any pages I felt I needed and threw away the rest. When writing a journal, I feel it is more about the act of writing. Get my thoughts out on paper so they aren’t bouncing around in my head all day. Another great suggestion is to keep a small box of personal notes or items that you want for yourself. You can write throw away on this box and that way your family knows there is nothing they need from there. When I went through my things from my youth I decluttered it down to one plastic box. This is a pretty large box, but my goal is to only keep what can fit in this box that way I don’t have a ton of stuff to go through when I am 65. Through our decluttering journey I have realized “things” accumulate really fast! It would be very easy to fill a house 10 times over if we didn’t actively clean everything out. Even with shopping less often and my one in one out policy the clutter accumulates. This book made two really good points. Make sure you are the one going through your stuff! Why miss out on the chance to go through your own things and enjoy the memories that these items will bring up. Take your time and relive your life through your things while you are saying goodbye to them. Also see what you can share with your family and friends and hopefully share the memories with them too. Number two, make sure you are not leaving a huge burden of clutter for your family and friends. She points out that it is not fun to have to clean up after other people and that you don’t want the last thing people remember of you to be the mess you lived in. 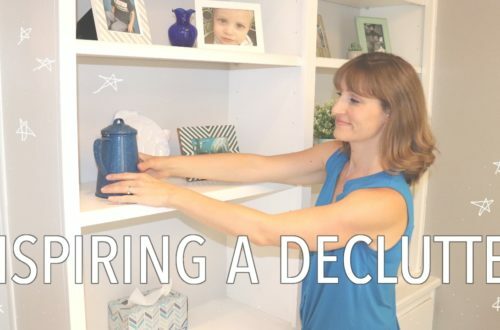 Comment below: Have you been decluttering?